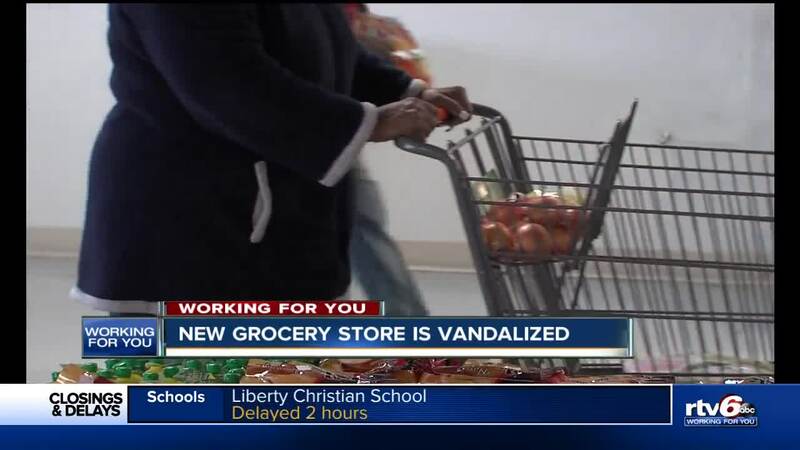 An east side Indianapolis grocery store which opened in an area big chains are avoiding has been vandalized. INDIANAPOLIS — RTV 6 reported recently on a new east side Indianapolis grocery store trying to bring healthy food to a an area of the city big chain stores are avoiding. A & I Variety Meats and Produce opened earlier this month. Now, owner Robert Hearst says vandals broke the glass front door of the store on East 38th. Street. The estimated repair cost is $900, but Hearst is not discouraged. He is more determined than ever to make a difference in the crime-plagued neighborhood. "This is what God put me here to do," he said. "He wanted me to do this and that is what I'm doing. He put it on me to do this. He's going to protect me also." The glass is set to be replaced soon. Meanwhile, Hearst says business is growing and he has seen an outpouring of support from the community.